Blue route = 3rd way up (described in this post). Red route = Col du Mont Cenis both sides, on main road. 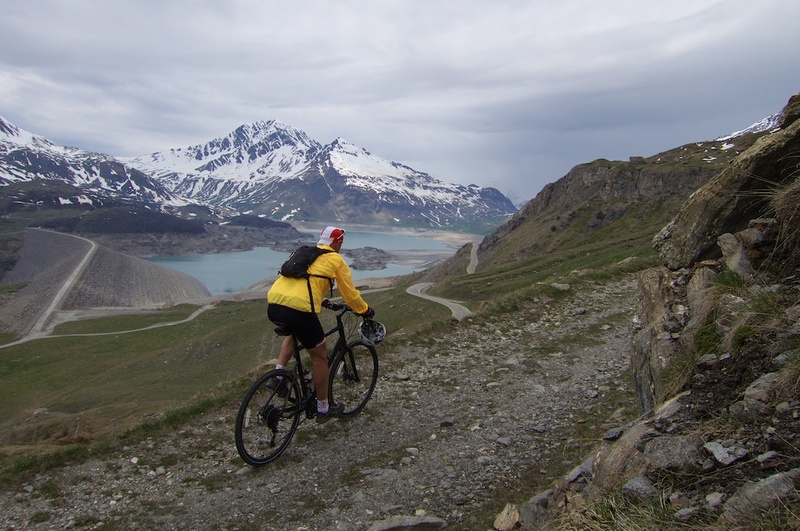 Green route = Mont cenis, Petit Mont Cenis and (unpaved) Col du Clapier. Like the main Italian route, this alternate 3rd way starts in Susa. Look at my 2nd map below closely as I found the perfect quiet road to leave town from a main square. Much of the first 9 kilometres are false flat along a wide road. But at Novalesa the fun starts. The route turns onto a tiny road that just heads up. Loved it. It is narrow but decently surfaced and I never saw a car. Look closely at the map and you’ll see a series of tight hairpins. tough to photo, but fun (and steep). Moncenisio (1435 metres) is a quaint little village tucked into the mountains. 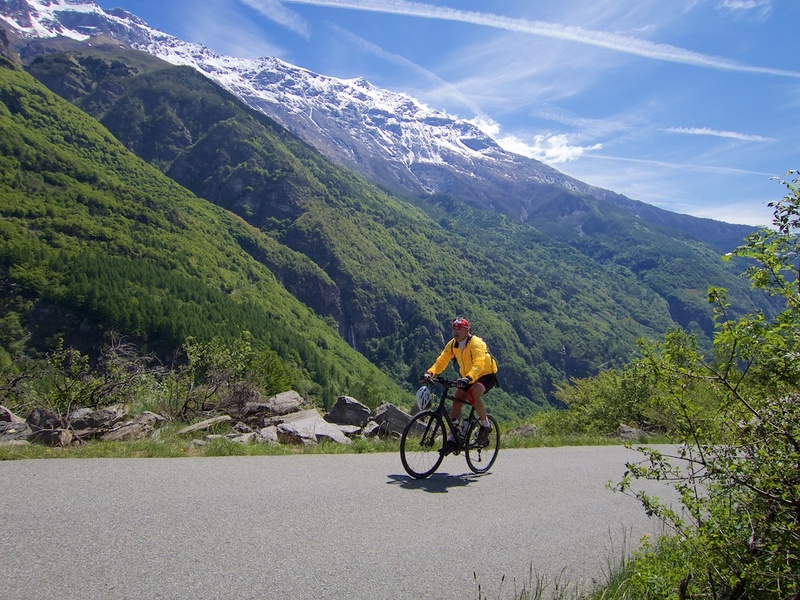 After passing the village and Lago Grande, the route gently heads downhill along a fun cliff road for 5 kilometres, eventually joining the main road to Mont Cenis at approximately 1300 metres. Last year, Doreen and I stayed in Moncenisio for a night in a little hotel. After dinner we were locked in the restaurant and forced to perform Italian karaoke (more fun than it sounds). 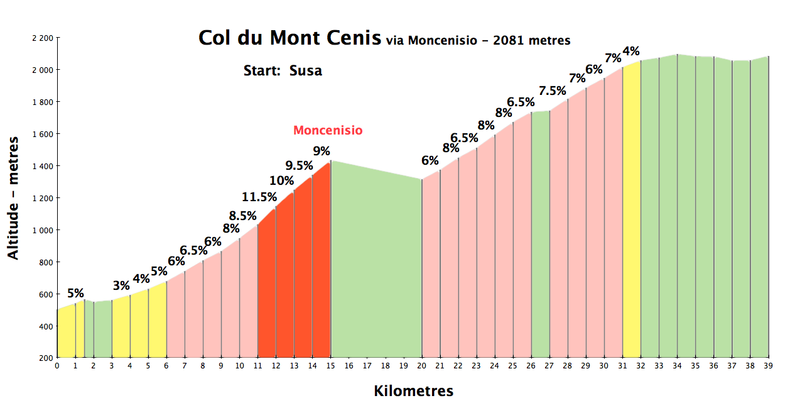 The Italian side of Col du Mont Cenis, from Susa (500 metres), starts almost a full vertical kilometre lower than the French side from Lanslebourg (1400 metres). Details of both sides here. 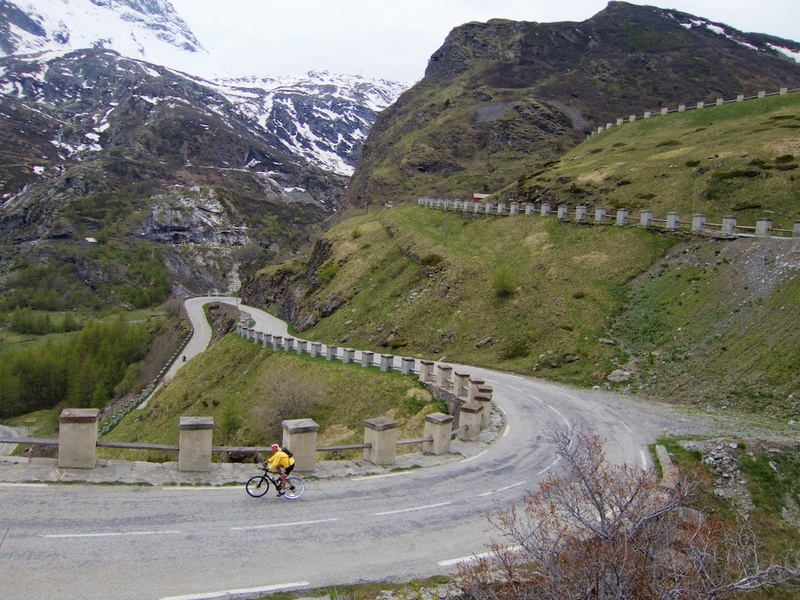 the link includes a fantastic paved detour higher to Col du Petit Mont Cenis. Highly recommended. The geographic col is beyond the far side of the lake, but the road reaches and even surpasses the col height as it reaches the dam at the near side of lake. It was overcast and the beautiful lake was far from full but still a lovely setting. The route until now was completely paved and perfect for a road bike. But I had brought my hybrid with another adventure in mind. 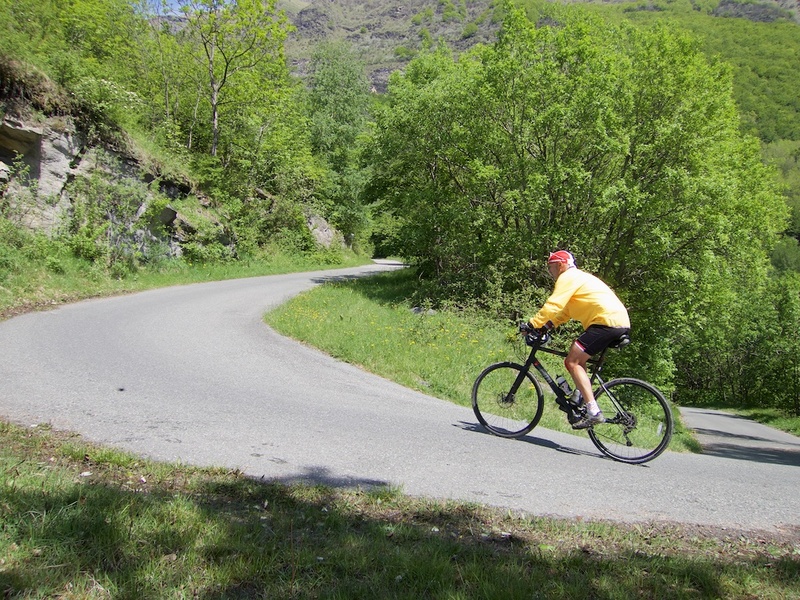 Near the dam, I turned onto the Sentier des 2000 metres. This is an old military road, now a muddy, gravel/grass path. 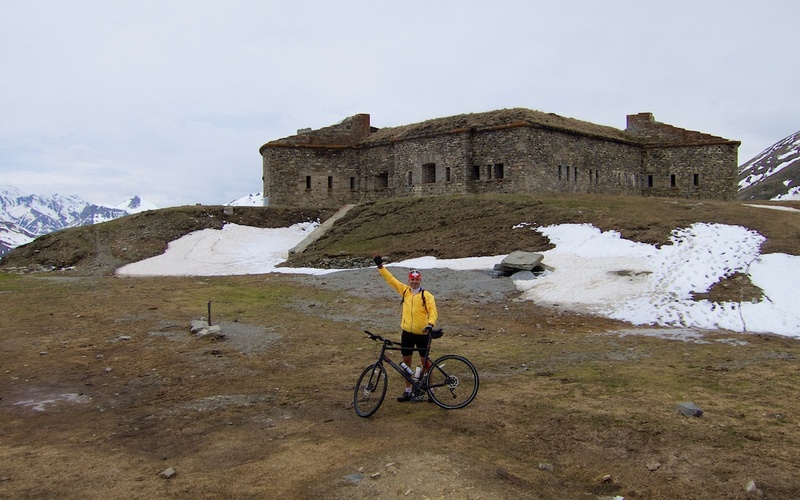 It leads to superb views over the lake, and eventually to Fort de Ronce at 2286 metres. Fort de Ronce was built from 1877-1880, soon after the “creation” of Italy – originally on Italian territory. I had planned to cycle around the lake (the far side is gravel – see green route above), but I could see that it was still covered in snow. So I kept things simple and just descended the main road all the way down to Susa. This 3rd way up was as remote, quiet, and fun as I’d hoped. I’d recommend it over the main road. Up higher, there are more military fort detours possible on the far side of the lake. Maybe a return visit on a sunnier, warmer day when the lake is full. 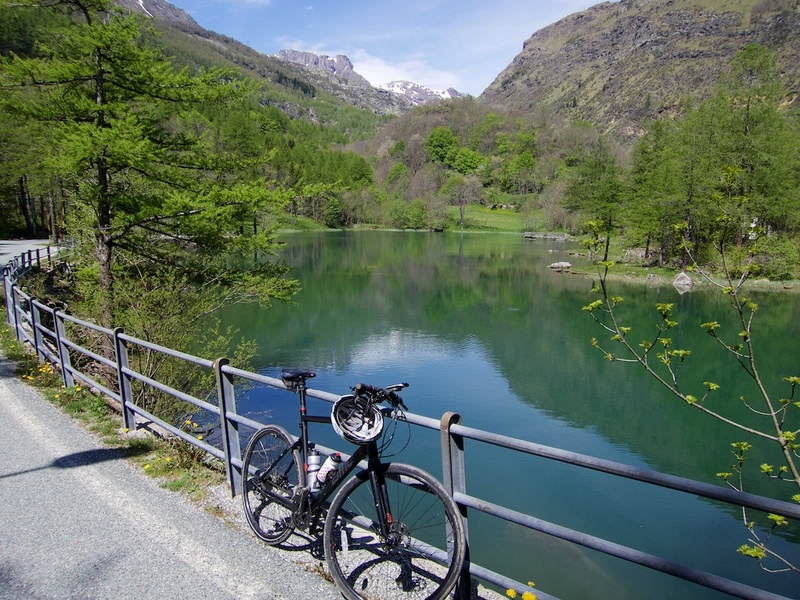 I did the classic Italian side of Mont Cenis last summer. I found the part of the climb before the Italian-French border to be easy forgettable. 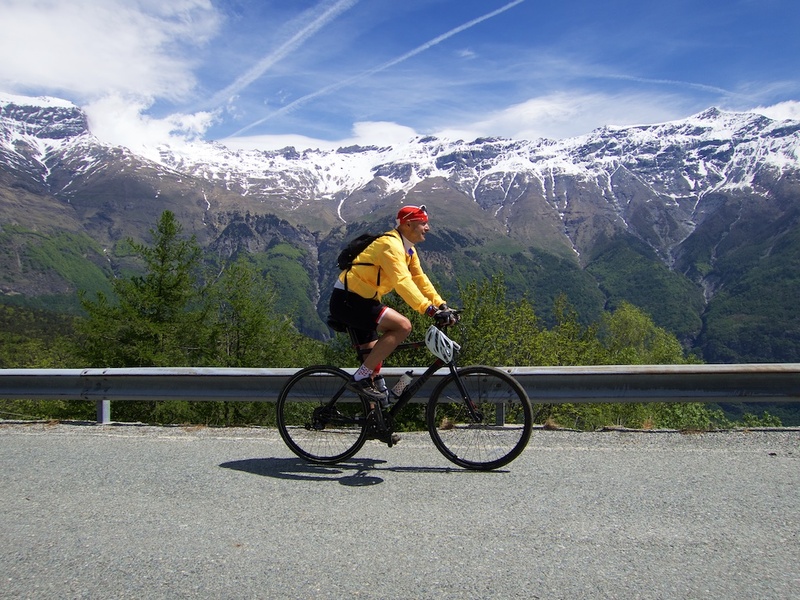 This year the Col du Mont Cenis is again included in my big Alpine cycling trip. Only downside: is it correct that this seems to add 14 km’s to the climb? I see what you mean. I think my profile on the direct way falls short of the col (stopping instead at the high point) by a few kilometres (so not completely comparable – my apologies closer to maybe 10 kms longer), plus remember there are perhaps 5 kms of slight downhill here, reconnecting to the main road. This 3rd way is definitely a little harder, but only has perhaps a 150 or 200m of extra climb. Basically the descent from Moncenisio to the main road. I think it’s a very fun alternative. From the city centre of Susa, it is +8,9 km in length and +110 m in total altitude gain. I’ll probably manage to squeeze those extra kilometers in! Sounds right, excellent. I think you’ll prefer this route. Didn’t notice you already replied. That was fast, thanks! Will try to make a blog on my trip myself. I’ll keep you posted, as much of my inspiration comes from here. 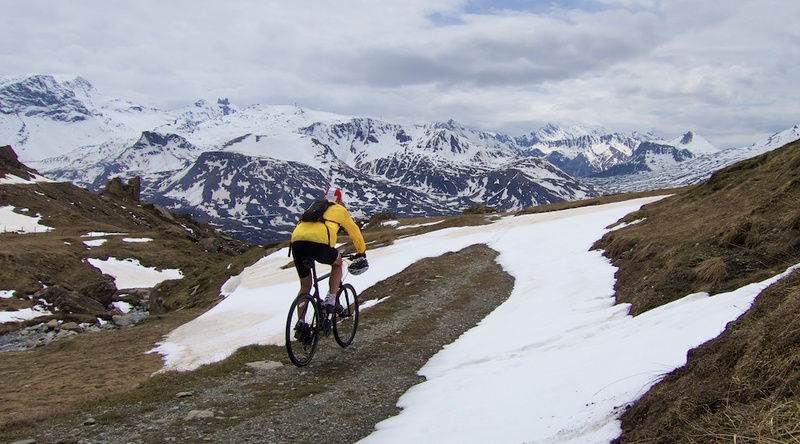 I spent almost 3 months cycling through parts of Europe just on two years ago and rode the unpaved extension above Lac du Mont Cenis. I have to say that was a pretty rough ride but definately worth it. Interestingly I stayed ay the village of Moncenisio for two nights in a pup tent. Your photos broght back many memories for me.